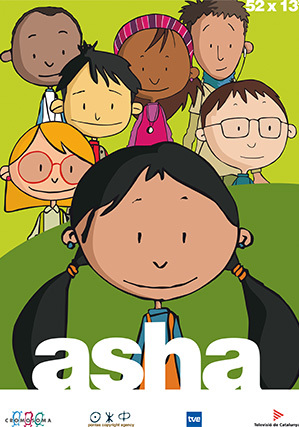 Asha and her friends set up a sort of pirate TV that can intercept television signals and those of other digital devices in their multicultural neighbourhood. They disguise their identities when they are on the air, so they become ”The Maskateers”. The thrilling adventures of Asha, Roc, Sita, Daniel, Mutala, Clara, and Nabil have been carefully built to reflect today’s multicultural society, and to make it simply more fun. Friendship, tolerance, and solidarity are the main values you will find in these episodes.